Mom & World Baby Nourishing Oil For Baby Massage is a fortified formula that deeply nourishes the delicate skin of your baby. 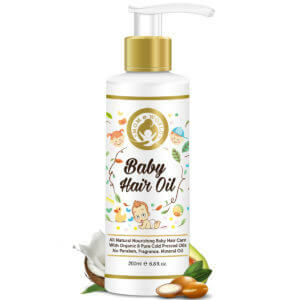 This baby nourishing oil has ingredients like coconut oil, sweet almond oil, organic extra virgin olive cold pressed oil, grape seed cold pressed oil and wheat germ cold pressed oil which provides soothing, moisturizing and toning benefits. Enriched with quality ingredients, this massage oil ensures superior hydration. 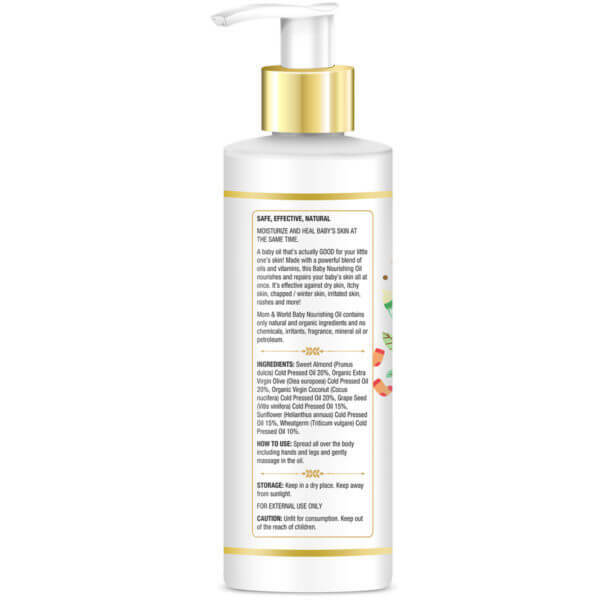 Mom & World Baby Nourishing Oil repairs and nourishes the baby’s skin. It is effective for itchy, dry, chapped/winter skin, rashes, irritated skin and more. 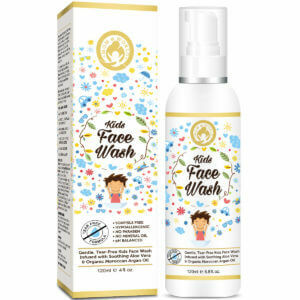 This product is safe for your baby, as it is formulated using only organic and natural ingredients and does not contain preservatives and harmful chemicals. When it comes to our baby, we tend to buy things that are flawless and Mom & World Baby Nourishing Oil for Baby Massage is one such product that is no doubt a perfect baby oil for your little munchkin. The rich blend of cold pressed oils forms the base which makes it a perfect oil to massage your baby. Regular massage softens and soothes the baby’s skin and stimulates blood circulation. Soothes and moisturizes the skin better and deeper. 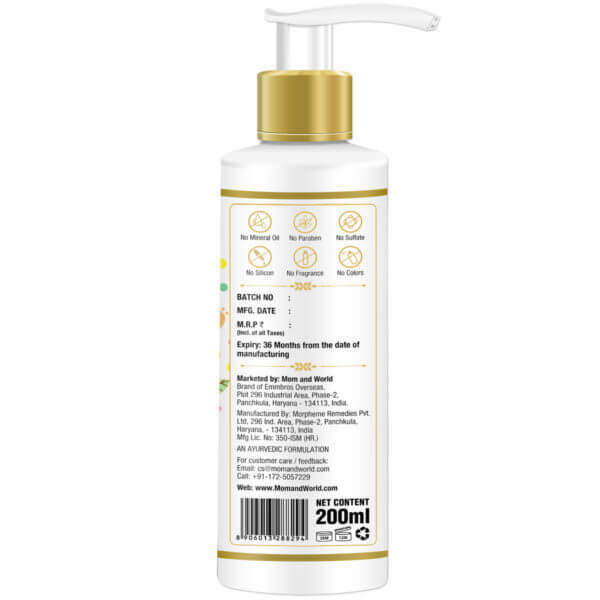 Specially made to protect baby’s skin and 100% natural. The lightweight oil is a gentle blend of cold pressed oils that leaves the skin silky and nourished. Made from handpicked natural and organic ingredients, the baby massage oil is safe and comforting on the skin. Free from artificial fragrances, mineral oils, colorants and synthetic preservatives. 1. Why massage is important for my baby? Massage helps the baby to adapt to the outside environment. The first sensory feeling that babies develop is ‘Touch’ and massaging is a simple and effective way to make your baby feel loved and secure. 2. When is the good time to massage my baby? After or before bath time would be the right time to massage your baby. Also, massaging in the evening will help the baby to sleep better. Fix a time that works well for both you and the baby, so that the whole experience is enjoyable. Avoid massage when baby is overtired, hungry or you are in a rush or stressed. 3. Which oil can I use for massage? The oil that you use for massage should be natural, organic and safe for babies like the Mom & World Baby Nourishing Massage Oil which is an excellent blend of cold pressed oils and is soothing and comforting for the baby. Always do a patch test to know whether your baby is sensitive or allergic to any of the ingredients in the product. If you don’t observe any signs of reaction then you can use the oil to massage your baby. 4. How will massage help my baby? Massaging has a range of benefits both for you as well as your baby. At physical level, it helps relieve pain and fosters deep sleep. While at psychological and emotional level, it reduces stress hormones, increases attentiveness and stimulates neurological development. It also improves child-parent communication as massage is one-on-one unique experience for both you and the baby. 5. How long should the massage session last? A complete routine will often take 20–30 minutes. However, young babies who have just started the massage routine may not tolerate this long. So, build up the complete massage routine over a period of time, starting from 5-minutes initially. Work on the part that your baby enjoys the most in the beginning. Both sides of the body should be massaged to maintain balanced outcome. Take 2 – 3 ml of Mom & World Baby Nourishing Massage oil on your palm and gently massage your baby’s body including hands and legs. Avoid applying near the eyes. This nourishing massage oil is not only for babies, but you can pamper your skin too with this oil for a glowing and hydrated skin. Safety Tip: The product is for external use only. Sweet Almond (Prunus dulcis) Cold Pressed Oil 20%, Organic Extra Virgin Olive (Olea europoea) Cold Pressed Oil 20%, Organic Virgin Coconut (Cocus nucifera) Cold Pressed Oil 20%, Grape Seed (Vitis vinifera) Cold Pressed Oil 15%, Sunflower (Helianthus annuus) Cold Pressed Oil 15%, Wheatgerm (Triticum vulgare) Cold Pressed Oil 10%. This oil is a blend of natural oils. 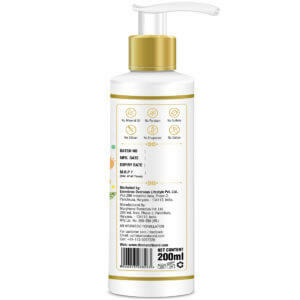 It is excellent for the sensitive skin of my baby. Keeps the skin supple and problem-free. I use this oil to massage my baby. It perfectly suits the delicate skin and keeps it the way the baby skin should be.